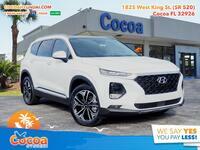 While the third-generation Santa Fe crossover was introduced back in 2012, just last year the model underwent a pretty awesome facelift to introduce an all-new Santa Fe that we couldn’t get enough of. 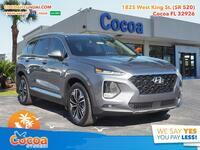 That same great vehicle is available again for the 2018 model year, and while nothing has changed for the new model there are still plenty of great highlights in the 2018 Hyundai Santa Fe in Cocoa FL to get excited about. 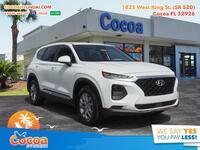 Just to give you an idea of how great the Santa Fe is, the interior of any leather-equipped model is packed with a premium, wood-finish trim that is just one example of what makes the model beautiful inside and out. Furthermore, every Santa Fe model that has Blue Link equipped will come with three full complimentary years of service including things like remote start. 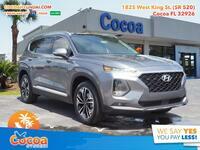 One of the main aspects everyone always wants to know about in a vehicle is its performance, and the 2018 Santa Fe certainly delivers. 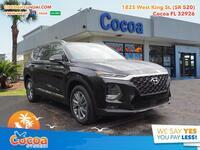 Powered by a 3.3L V6 engine, the Santa Fe is capable of doling out a whopping 290 horsepower, and mixed with its dual continuously variable valve timing technology, 5-speed automatic transmission, active cornering control and all-wheel drive, it handles pretty well if we do say so ourselves. As for features, the Santa Fe is packed with incredible highlights. A 7” display audio system with Android Auto and Apple CarPlay ticks the entertainment box while features like dual-automatic temperature control, Clean Air ionizer, lumbar support and heated front seats tick the comfort box. 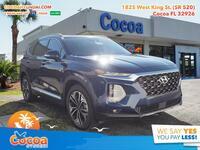 Other features like the Blue Link Connected Car System, LED daytime running lights and roof side rails only add to the model to complete the full package. We’ve only begun to scratch the surface with the information found on this page, so if you’d like to know more don’t be afraid to reach out or fill in the form up above. You can also feel free to give us a call at the sales desk for more information or to schedule a test drive. 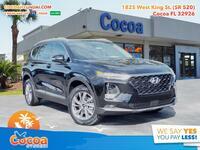 We look forward to working with you and getting you behind the wheel of the perfect new crossover for you. 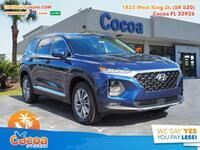 Interested in a 2018 Hyundai Santa Fe?